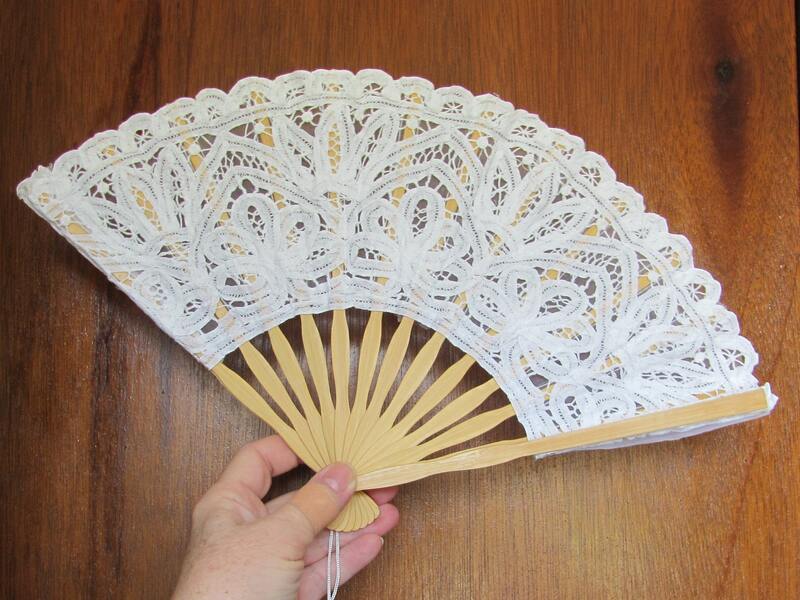 White Lace Hand Fan bridal shower wedding party favors or use as a base/armature for a bridal bouquet, chair decoration or centerpiece embellishment. 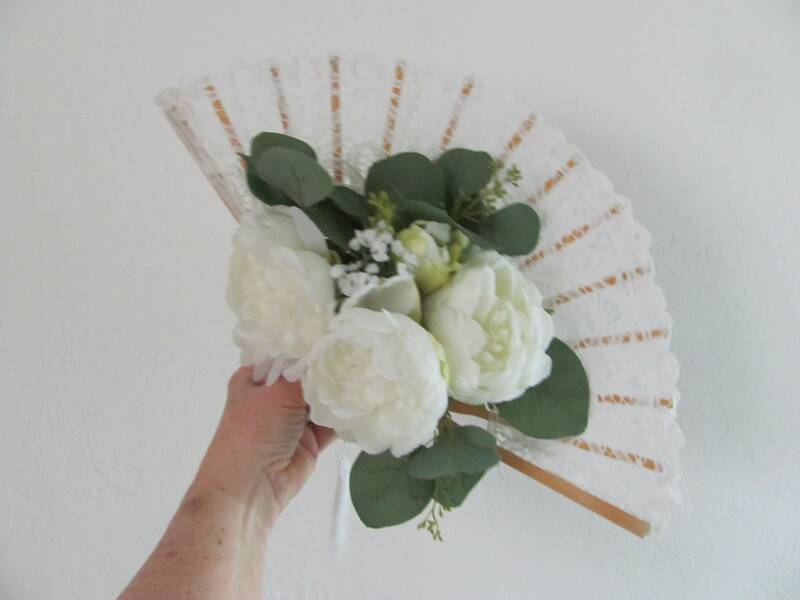 Option to purchase with the faux peony flowers and artificial eucalyptus shown or plain and diy. 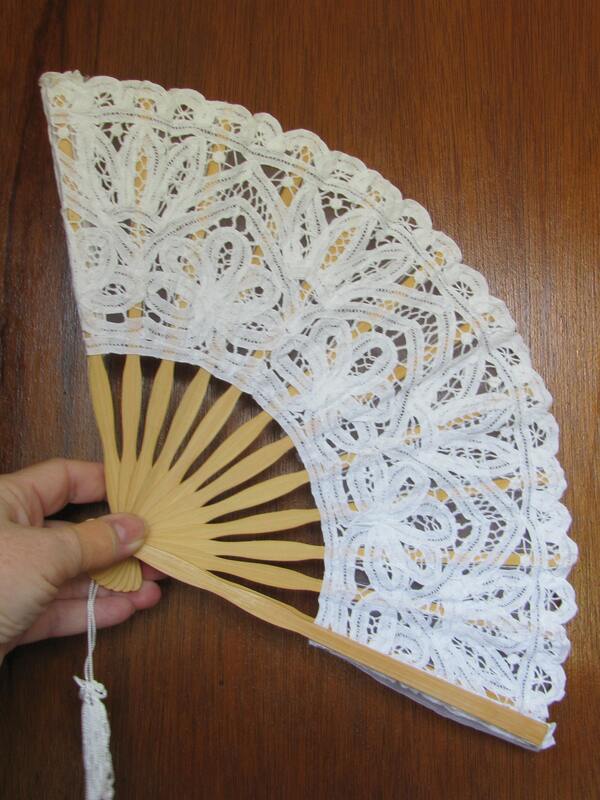 Color choices for fan are white or ivory.